Orient Express is pleased to announce the return of Dymag to the U.S. market. Orient Express has been named the official, authorized importer and distributor for the full line of Dymag carbon fiber, magnesium, and aluminum motorcycle wheels. Dymag wheels are available in five unique styles including the five spoke Carbon Race CA5 version which offers ultra low weight, and low moment of inertia for maximum performance advantages over OEM wheels. Additionally, Orient Express is excited to introduce the Dymag Ultra Pro UP7 forged aluminum seven spoke wheels, featuring the latest design and engineering technologies in an affordable assembly. The Dymag Superbike SB5, Classic CH3, and Street Race TT3 wheels are available in magnesium for low weight and high strength, with classic good looks. The Dymag Superbike SB5 magnesium wheels are especially well suited for high horsepower drag racing applications, and the rear wheel is available in up to a 6.25″ width. 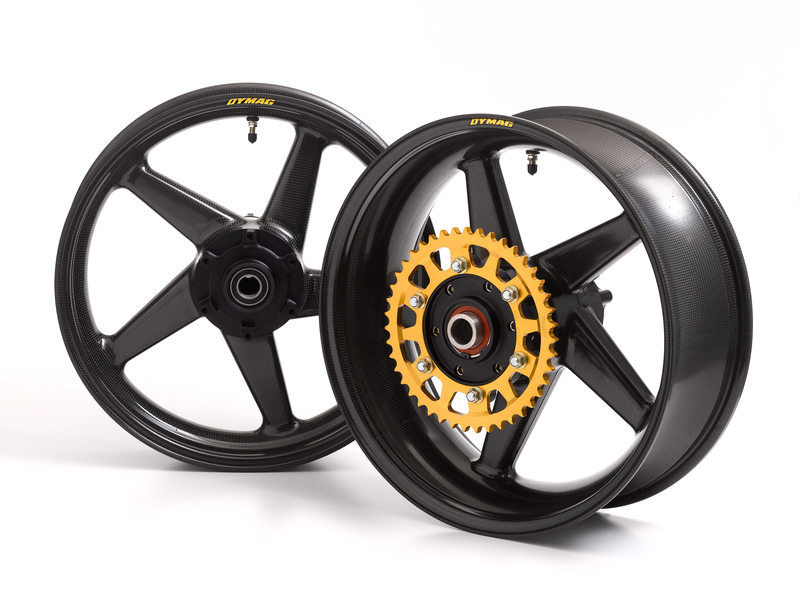 Dymag’s extensive history of wheel production dates to the 1970’s and as a result Dymag can provide wheels for over 90% of the street bikes produced up to present day – a massive selection! As an introductory special, we are offering a limited quantity of Dymag Carbon Race CA5 wheel pairs for $2995 plus shipping. For more information regarding Dymag, or any questions regarding your machine, please contact Orient Express – http://www.orientexpress.com or via telephone – 800.645.6521 toll free or 631.231.9552 (NY/International). Dealer inquiries welcomed.